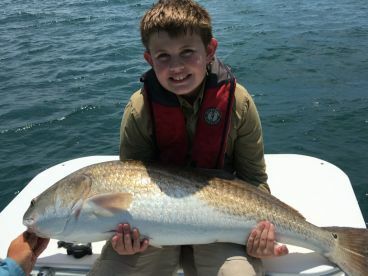 Just Got Reel Inshore Charters offers fun-filled adventures on the New River in Jacksonville, North Carolina. 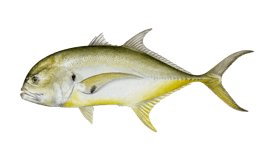 Their main goal is for you to have fun and to catch fish in a relaxed atmosphere, which they are experts at providing. 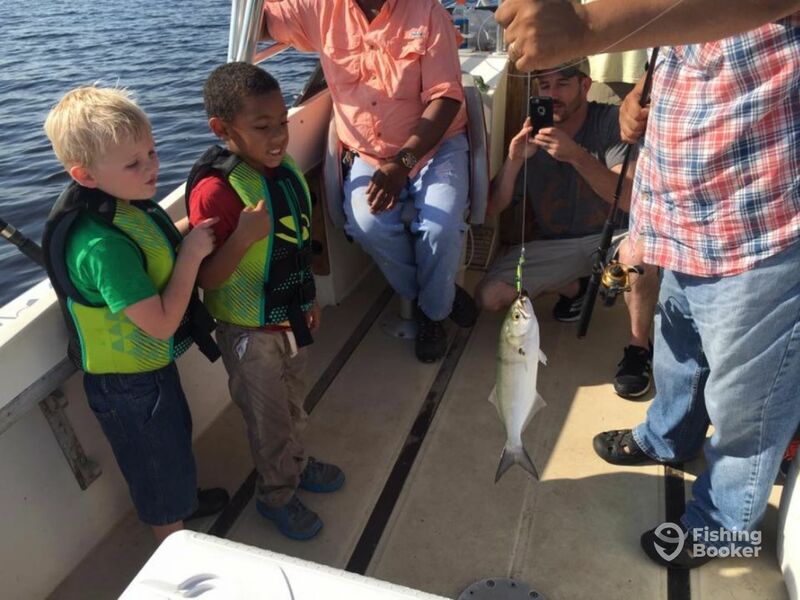 You are welcome to bring your kids along as Captain David loves taking kids out and teaching them all about fishing and the local fisheries. 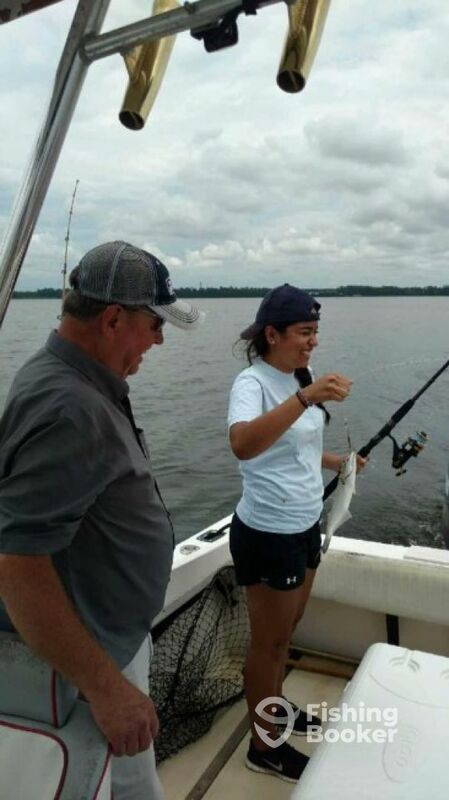 Captain David will take you fishing in the New River, the intercoastal waterway, and New River Inlet. 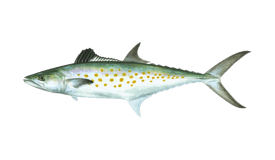 Your targeted species will mainly be Spanish Mackerel and Bluefish, but you can also catch Redfish, Spotted Seatrout, Jack Crevalle, and some Sharks. 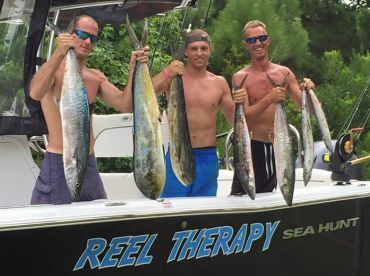 You can book a full or half-day charter that will see you trolling for these species. From the license, tackle, rods, reels, and baits, to the first mate who’ll help you reel in your catch, your trip will cover everything you need for an adventure on the water. 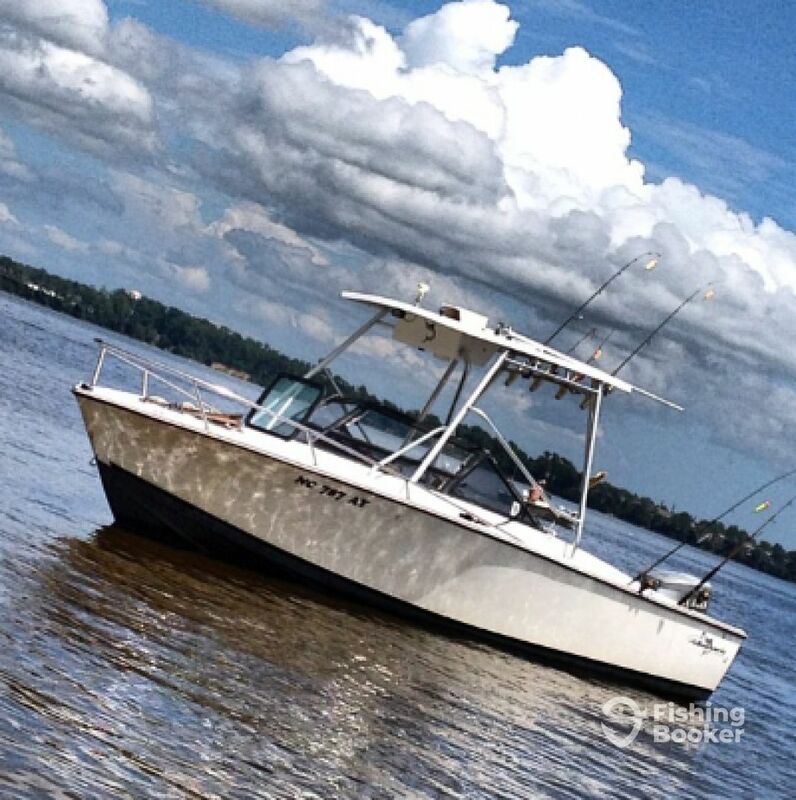 Just Got Reel Inshore Charters will take you out on a 24-foot Albemarle express cruiser powered by a 225 HP Yamaha engine, with a maximum cruising speed of 38 knots. The speedy vessel will transport you to the most productive spots quickly and with ease, and its T-top will provide much-needed shade in the warm summer days. 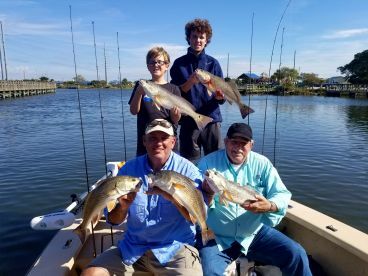 The crew of Just Got Reel Inshore Charters have lived their entire lives fishing here on the New River and will do their utmost to ensure a fun-filled day of fishing, sightseeing, and relaxing for you and your crew. 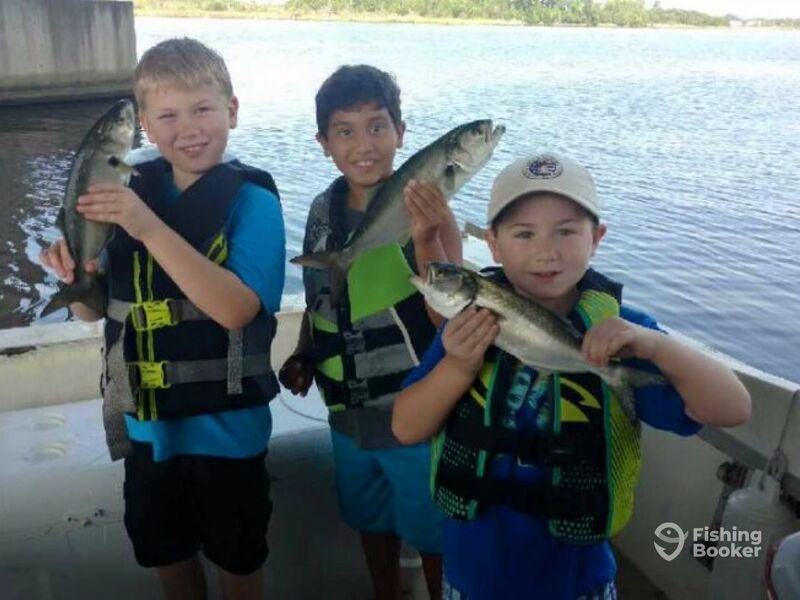 Their goal is to catch fish and have fun. 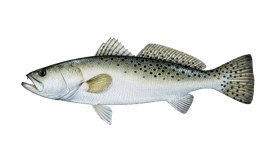 They will also clean and cook your catch at the ‘Marina Cafe’ for a simple and easy way to enjoy the freshest fish you will ever eat. This is an 8-hour long trip, targeting Spanish Mackeral and Bluefish The trolling technique sets you up for a fun filled day of fishing on the beautiful New River, the Intercoastal Waterway, and New River Inlet. 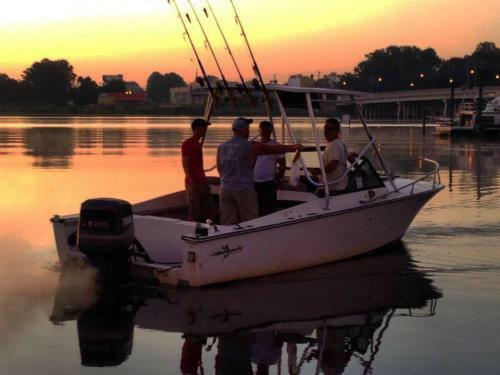 You will fish on the New River, the Intercoastal Waterway, and New River Inlet. 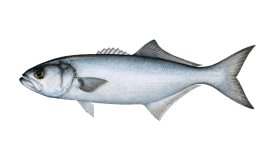 You will mostly be trolling and targeting Spanish Mackeral, Bluefish and occasionally catch a nice Bonita or Jack Crevelle. 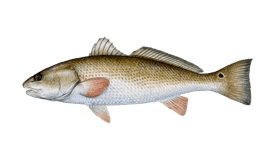 The trips are relaxed and fun filled fishing adventures. Albemarle (Express cruiser) originally built in 1983. Powered by a 225HP Yamaha engine, with a maximum cruising speed of 38 knots. I'm a USCG licensed 50 Ton Master Captain. 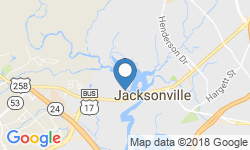 I grew up on the New River right here in Jacksonville NC and I have fished and boated since I can remember. Taking people fishing is one of my great joys. 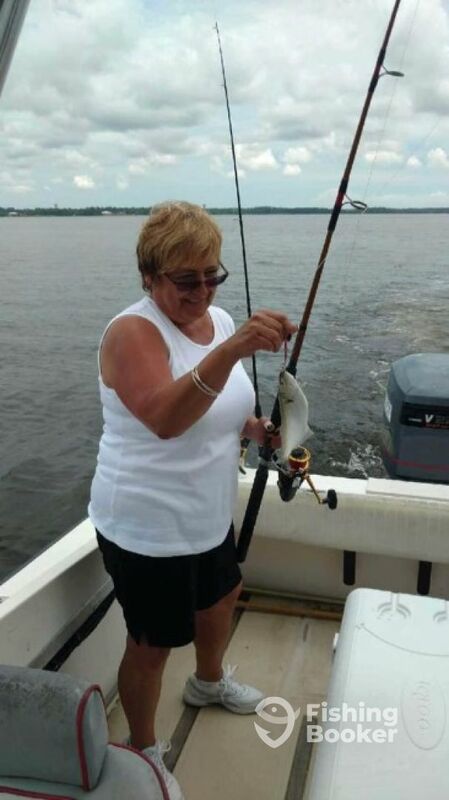 I love seeing someone excited about catching fish. I just enjoy sharing the experience of being on the water with my customers. Thank you for the review! Hope to see y’all again! Great people! 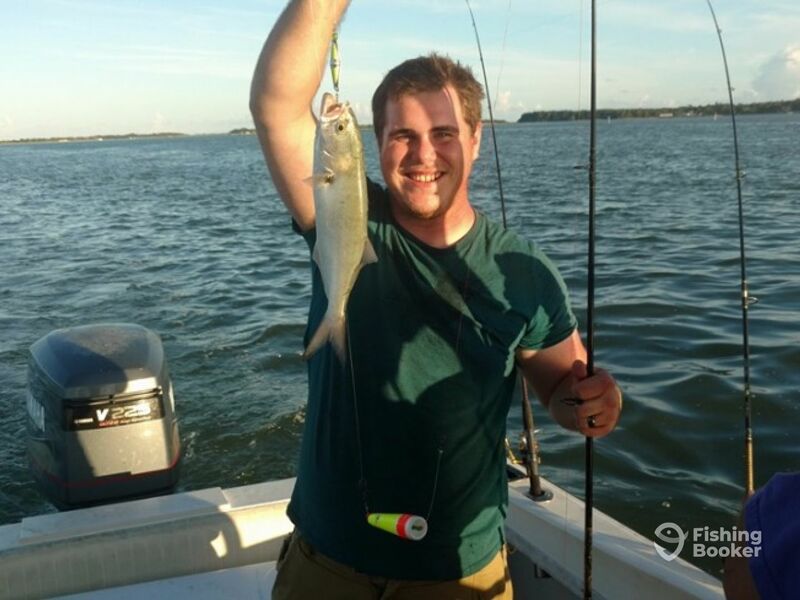 A lot of recent rainfall so fish were not hitting as well as we would like but Dave kept trying different techniques until we landed a few bluefish. Thanks Danny! We really enjoyed having you guys today! Thanks Jon! We had a good time with your family!